Most people’s complaint when moving home is the length of time that it takes. So we’ve got some great tips that will help things moving quicker, and speed up the house move. Chain – the property chain is the sequence of linked house purchases with people reliant on selling their property to buy their next home. This can sometimes be quite long and complex. Conveyancing/Solicitors – waiting for information from other parties often holds up the conveyancing process. This includes the return of local authority searches. Your solicitor will need to perform searches with local authorities to gather information on who is responsible for the roads or sewers surrounding the property and whether there are proposals in place that will affect your home.  Mortgages – buying with a mortgage can cause delays, as the lender will want to have a valuation on the property, to confirm the property is worth their investment. and they will also need you to provide very specific information about your financial circumstances before they will release the mortgage offer. Surveys – we recommend you get a Home Buyers Survey, alongside your mortgage valuation from your lender. This is so you can see the full condition of the property. Surveys can take time to schedule, complete and write up. If they disclose problems, then it can take time to deal with those issues, including getting specialist reports and quotes for work needed. Gifted Deposits – Your mortgage lender will usually need a letter from your parent(s) to confirm that the money is a gift and that they have no legal rights to the property. Anti-money laundering checks must also be carried out. Some lenders don’t like gifted deposits because it means you haven’t saved all of the deposit yourself. They may therefore spend more time looking at your financial background to ensure that you can cover repayments and any issues with the house. Leasehold vs. Freehold – Leasehold properties tend to take longer to deal with from a legal standpoint. Your solicitor will need details about the current leaseholder, as well as information on any management company, ground rents and maintenance charges. Freehold purchases are usually much more straight forward. When buying or selling a property you need to be prepared as you will need to see lots of different people and have documents to hand. To help you prepare for buying and selling property we have created a list of things for you to consider. Personal ID – make sure your driving licence and passports are up to data and valid, and even photocopy them ready to send out. Copy of your last 3 months bank statements. If self-employed, you will need 2 years worth of business accounts. Copy of up to date credit files. Property Title Deeds – if you do not have these to hand, they may still be stored with the solicitor you originally purchased the property from.  Copies of receipts/invoices/guarantees for any work done on the property – new windows/doors/extensions etc. Energy Performance Certificate – this is a legal requirement before you can sell a property. Get your finances in order as soon as possible. Make sure you have provided your mortgage advisor/lender with all necessary documentation, and have your mortgage in principal ready when you are putting an offer forward on a property. With a mortgage in principle you are seen as less of a risk and more attractive to sellers, this will speed things up. Keep in touch with your estate agents/mortgage advisor/solicitors on a weekly basis. This helps keep you at the top of their workload, and gives you a regular opportunity to see if there is anything you can do to speed up the process. Make sure you get quotes from at least 3 reputable solicitors. Ask relevant questions about how quickly they feel they can get the sale through to completion. If you need help choosing a solicitor, get in touch with us at Coppenwall. We cannot stress this enough. One of the biggest delays to house completions, is incorrect information on your mortgage offer forms. Triple-check the information you are providing on your mortgage application forms to the lender before you send, and save yourself time later, this will definitely speed up the house move. Everybody wants to move on the bank holiday, summer holidays, or even a Friday, so these times are busier for everybody. If you can, try and choose a completion date outside of these busy periods. Also, check your solicitors holiday schedule, to see whether they are away on your desired completion date.